Over the past few months we have been working hard renovating our small master bathroom. We live in an old house that belonged to my husbands' grandparents. The bathroom in our master bedroom is very small compared to master baths today. Here is the bathroom right after the drywall was installed. My husband completed all the work himself, including the drywall, plumbing, and tile installation. If you are new to my blog, welcome! My name is Daraka and I am a home decor and lifestyle blogger from Oklahoma. I love farmhouse decor and mixing new and old pieces. It's week 6 and the final reveal for the One Room Challenge hosted by Linda of Calling It Home. Over 200 bloggers took the challenge of making over a room in just 6 short weeks. 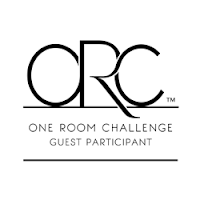 This is my first time to join in and I am participating as a "guest participant" and I'm super excited to have made it to the end. I took the challenge of turning my daughter's nursery into a little girl's room. To see my original planning and process through the last 6 weeks click the links below. I couldn't be more thrilled with how the room turned out. I'm happy to finally share it with you! I based the whole room with this iron bed I already had and went from there. 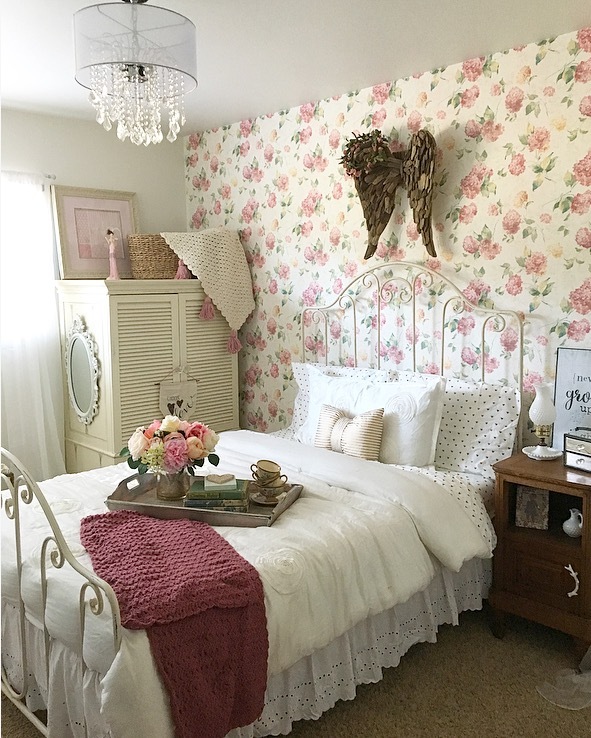 I knew I wanted to use a floral wallpaper behind the bed and found exactly what I was looking for from D. Marie Interiors. I came across her page on Instagram and fell in love with the papers she offers. Click here to find this wallpaper print. Hello fiends! 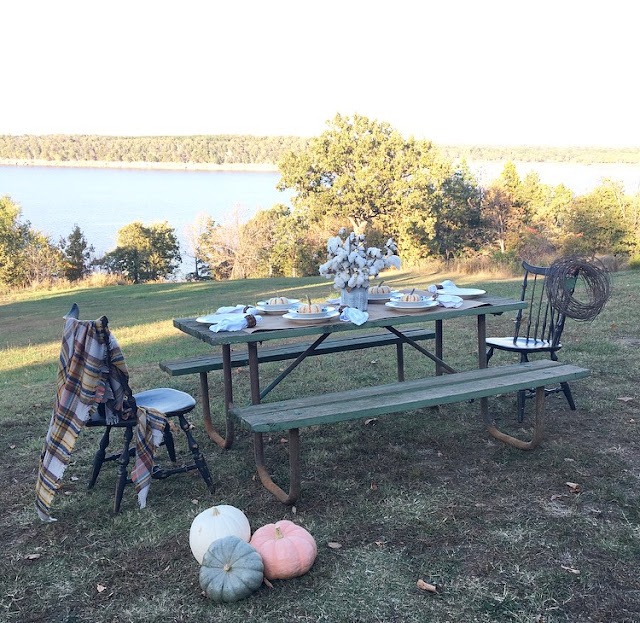 I've joined up with 6 blogger friends to bring you all Thanksgiving tablescape ideas with a fall recipe! It's my absolute favorite time of year! Cozy blankets and sweaters, hot apple cider, crisp air, and football of course, are just a few reasons why I love fall. Knowing we are in the month of November always brings on that anxious feeling of celebrating Thanksgiving and Christmas! One of the things I love most is creating memories and traditions, I try and make everything as memorable as I can for my three daughters for each holiday that comes. At the beginning of fall, we created a "fall bucket list" together and have been checking an item off each weekend. Having a fall picnic was one of the things they wanted to do so I thought..why not have dinner outdoors one night and make it something special they can remember? It also gave me an excuse to decorate another Thanksgiving/fall themed tablescape!